Located in the core Jiangbeizui CBD, an area of key development, this business centre provides high quality flexible office space that offers easy access to Chongqing Jiangbei International Airport, Railway Station, and City Harbour. 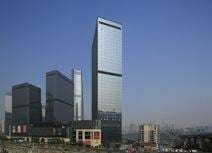 Located on the bank of Jialing River beside Hualongqiao in the Yuzhong District this centre is part of 10 international buildings with a total of 800,000m² that make up the Chongqing International Business District. The area has already attracted major corporates that include Deloitte, Sony and MetLife to name a few. The centre provides flexible workspace with fantastic views from the 25th floor. This business centre is set on the 35th floor of this landmark complex, and offers spectacular views of the city and mountains. Strategically positioned in the heart of Jiefangbei CBD, this centre provides state-of-the-art office facilities and is close to restaurants and hotels. This centre offers contemporary office space in a modern purpose-built mixed-use development. 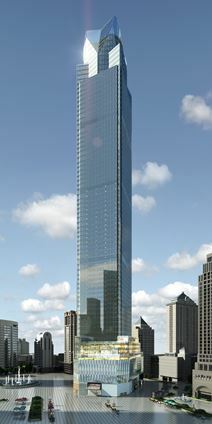 Set on the level 33 of one tower of this landmark building, this centre will meet all your business needs. A superb location next to the Exhibition Centre and close to banks. In the heart of Jiefangbei"s CBD this Grade A workspace provides a base that is close to a number of hotels, malls and restaurants and is ideal for small and large businesses.